Shadow .07 oz. ; Liner .04 oz. On-the-go gorgeous just got easier! This perfectly portable multitasker delivers the color you want. And because color is buildable, you control the level of intensity you want. Mix and match with other Mary Kay At Play® eye shades to create endless looks and eye effects for work, for play and for all your best face days! 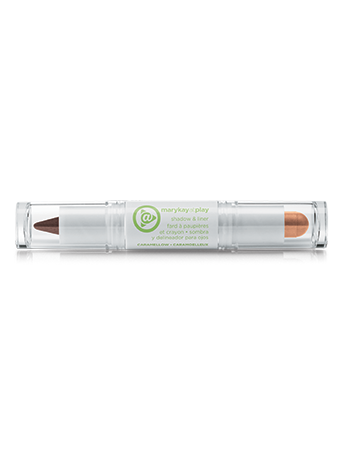 Apply shadow directly to the eyelids and blend using fingertips or eye color brush.